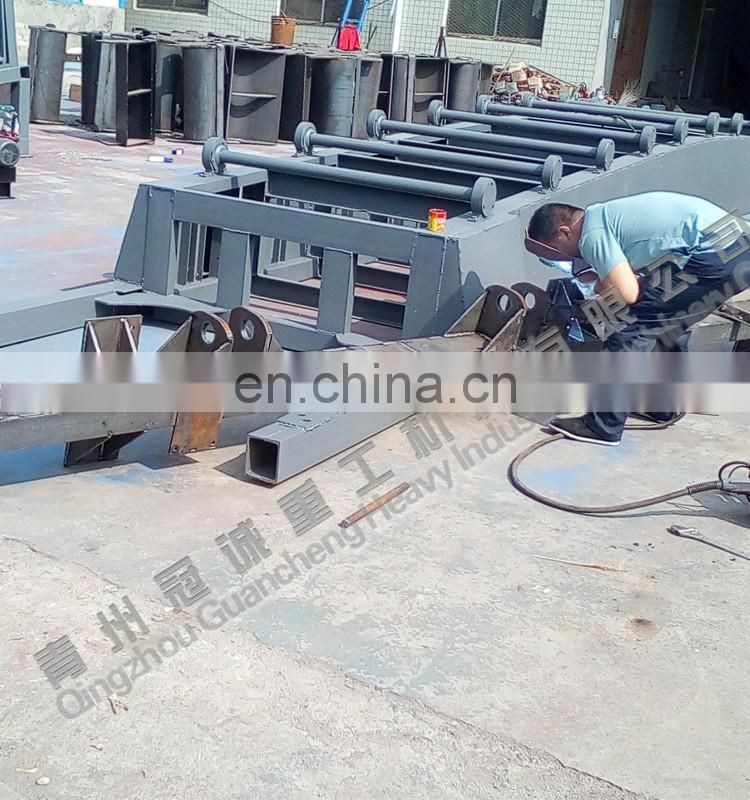 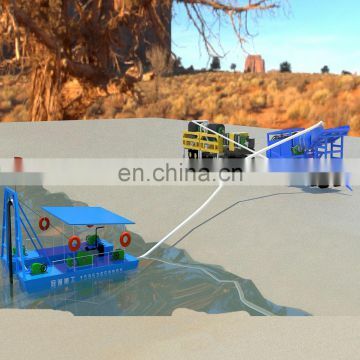 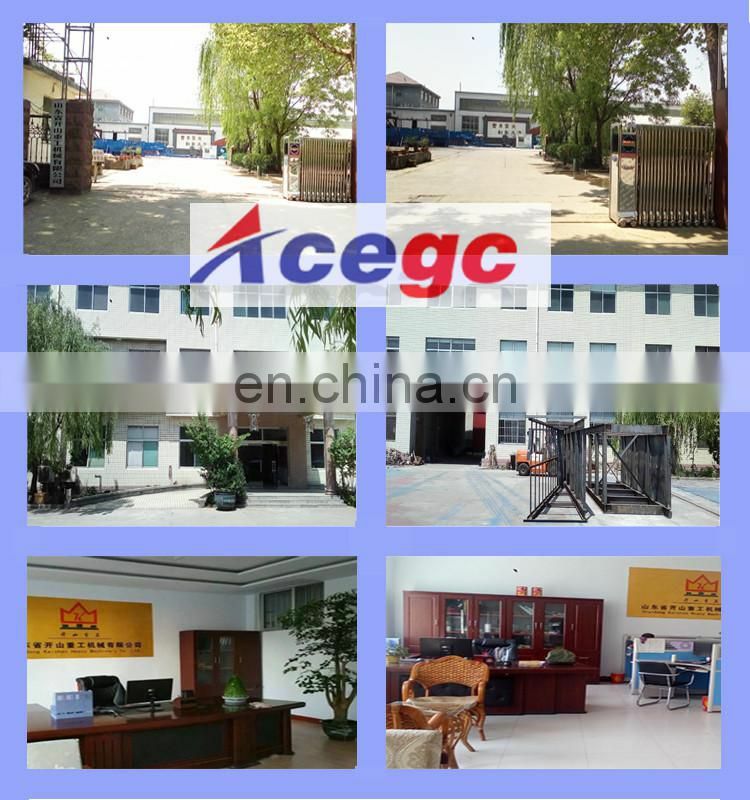 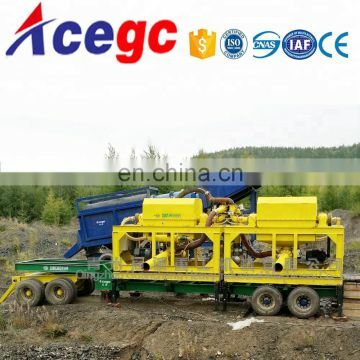 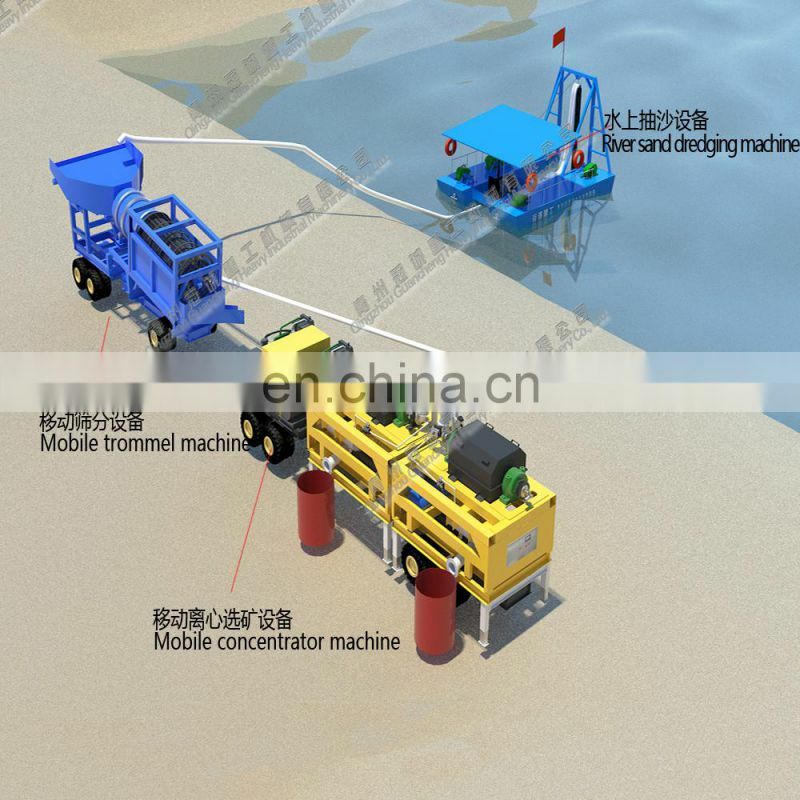 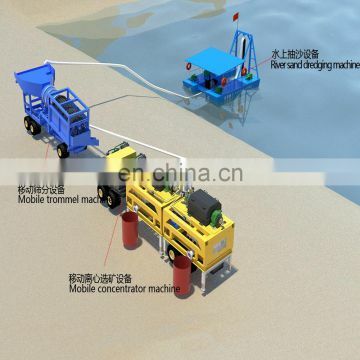 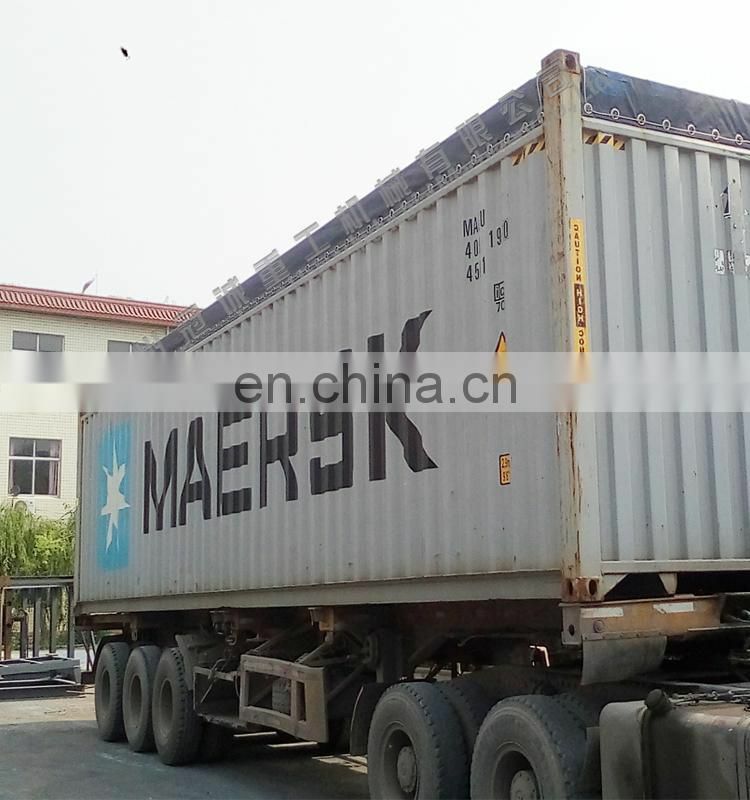 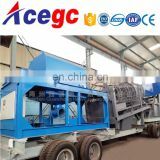 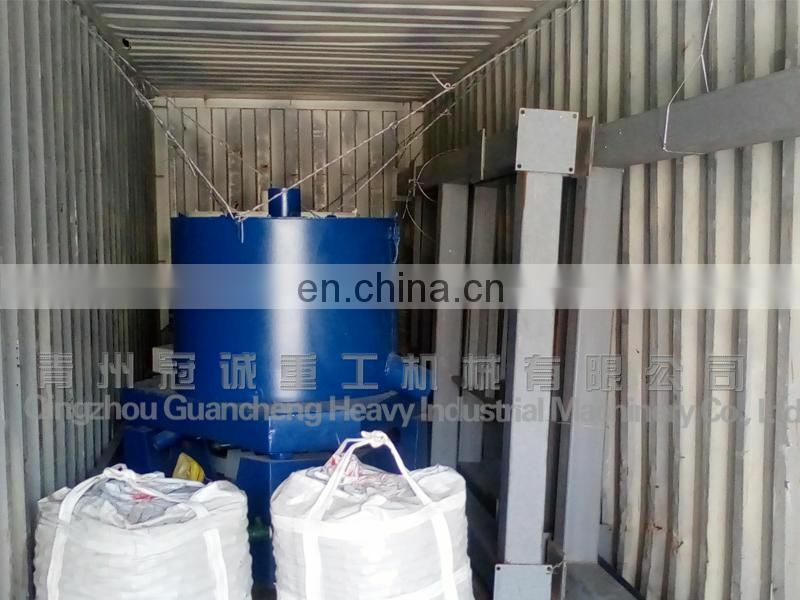 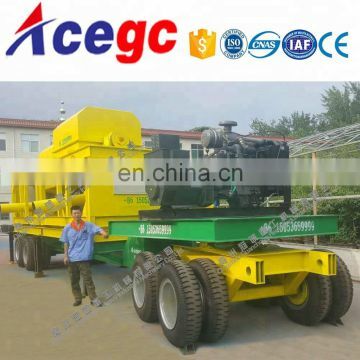 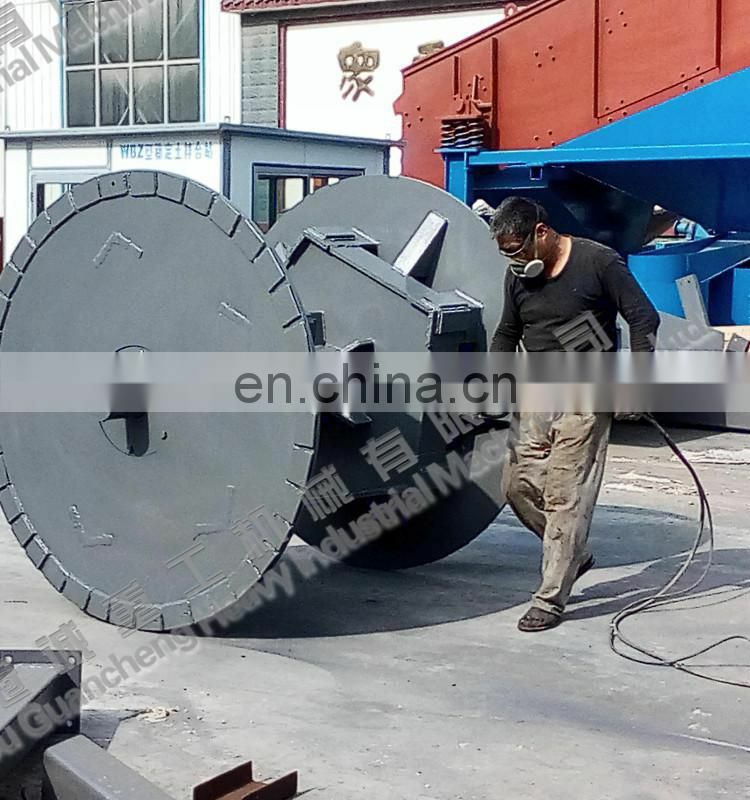 This set of gravity separating plant is mobile horizontal concentrator work plant,≤6mm material work capacity 100ton/hour,is newly design and update with customer’s actual inquiry and the experience with gold separating,it can be moved and operating very easily with low failure and easy maintance etc. 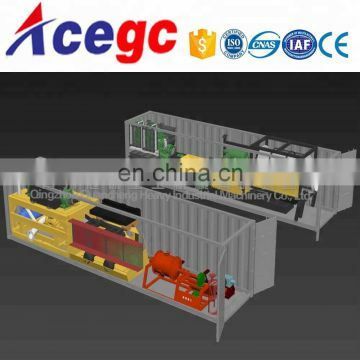 This plant is for materials rate>4 such as gold,tin,lead zinc ore etc. 4. 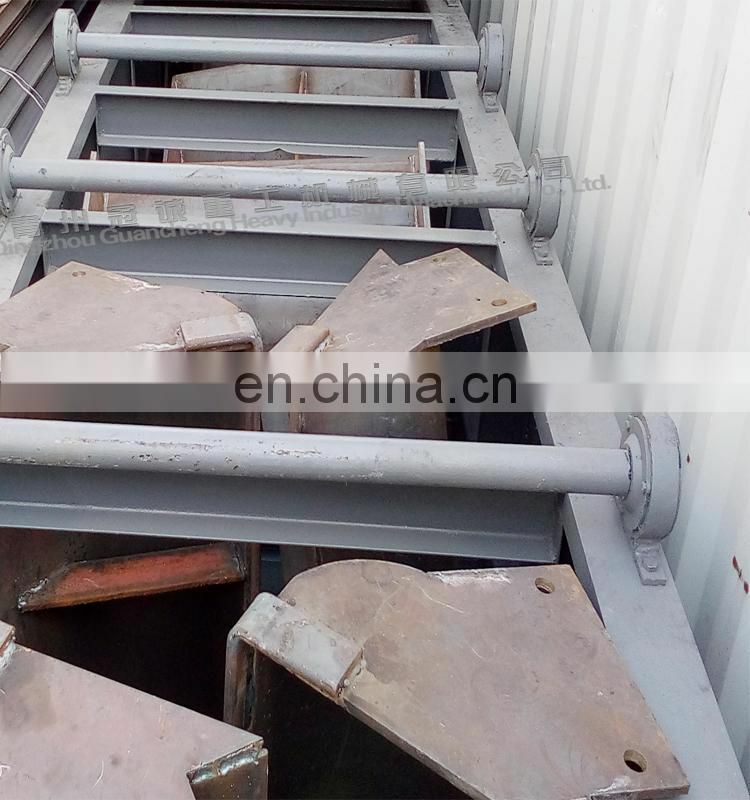 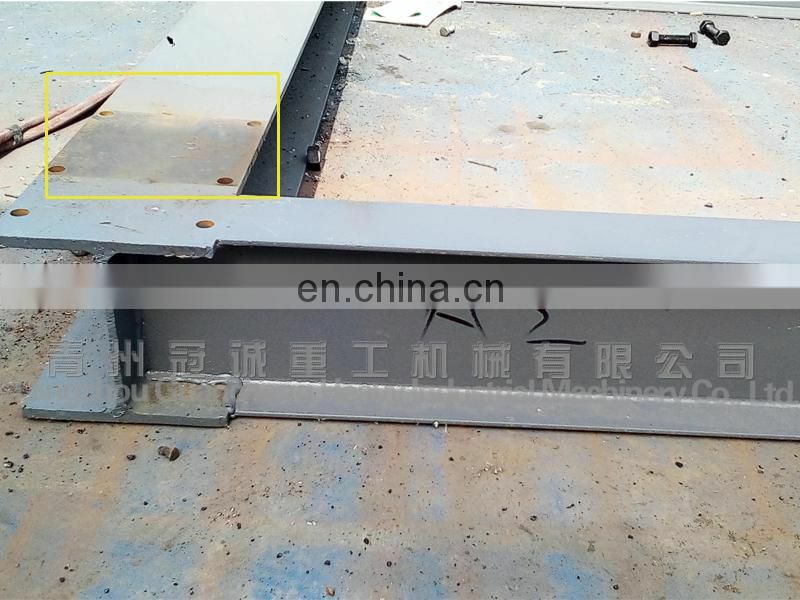 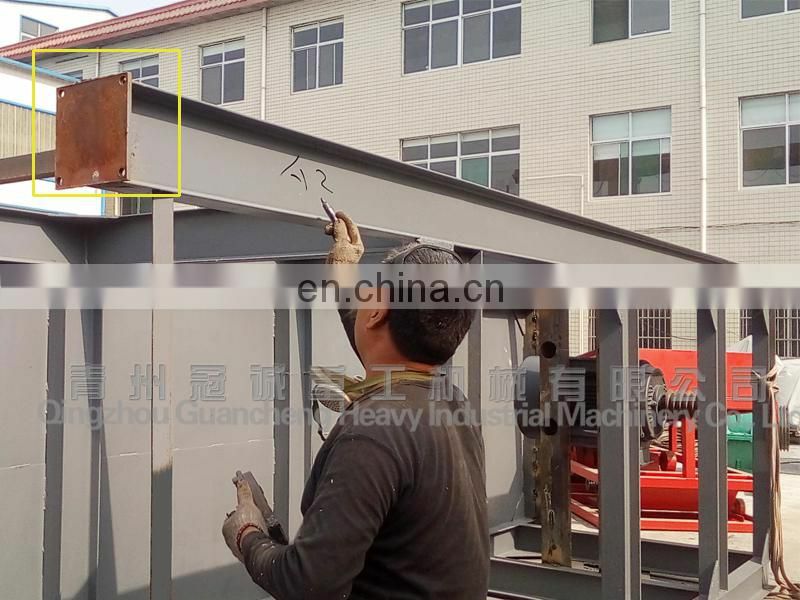 The feeding type can be changed easily to be hopper,the installation need very little human work. 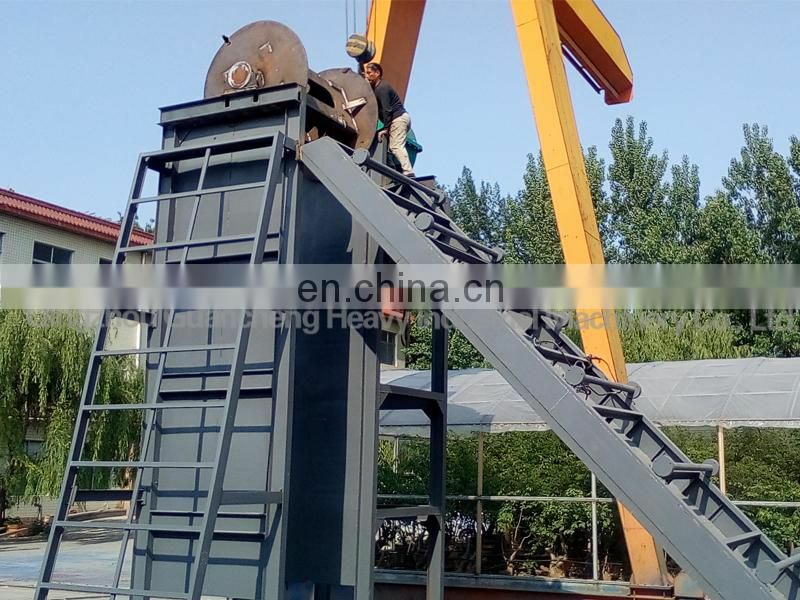 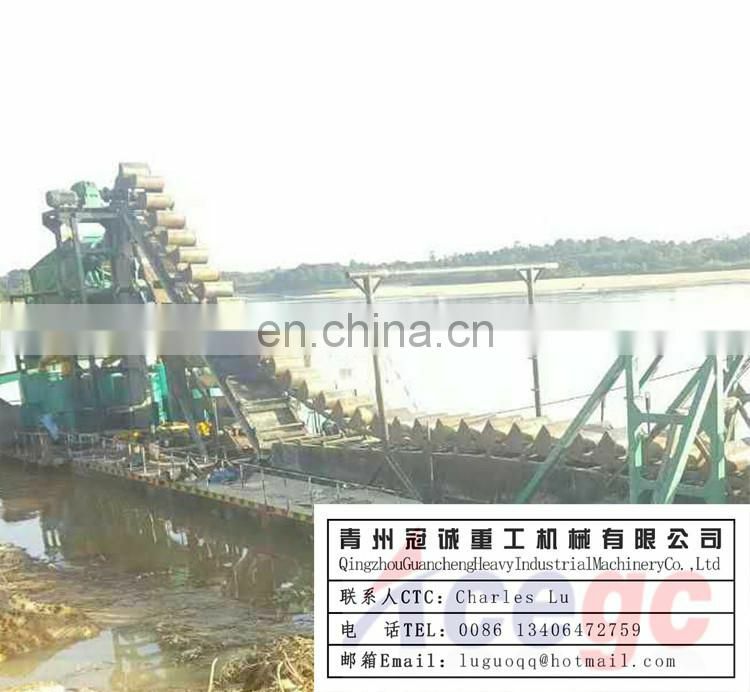 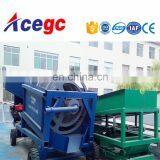 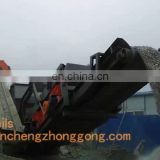 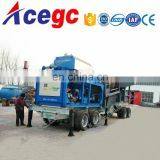 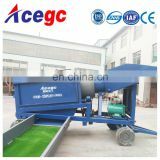 (2) feeding type of feed hopper; can be used excavator or loader to feed.